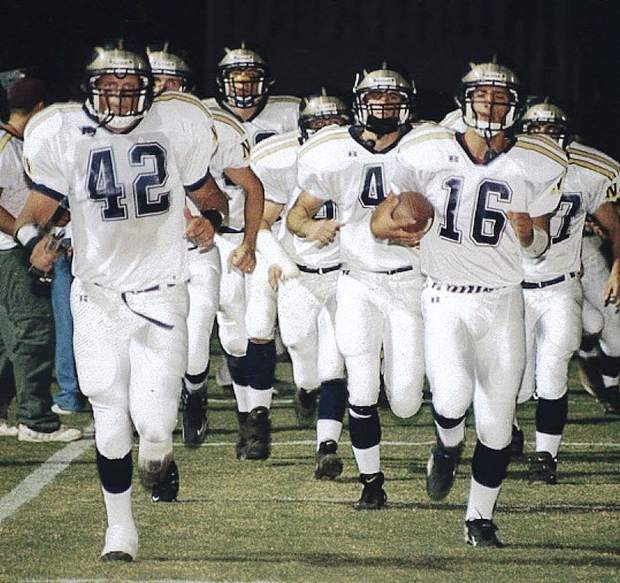 Nevada Union's Greta Kramer excelled in volleyball, basketball and track and field during her senior year with the Miners. She earned all-league honors in both basketball and volleyball and for her efforts she is The Union's 2017-18 Female Prep Athlete of the Year. 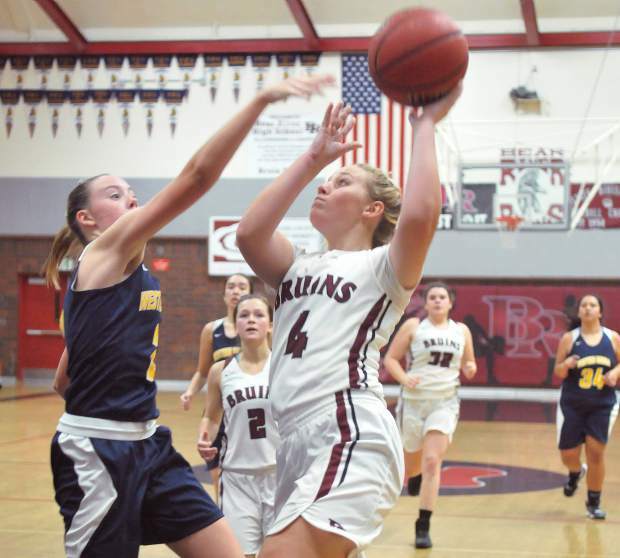 Bear River’s Kylee Dresbach-Hill was named to the All-PVL Second Team. Nevada Union's Mixtli Cortez made three 3-pointers and scored 19 points in Tuesday's win over Lodi. Bear River's Mallory Rath dirves to the basket for a shot during a recent game. 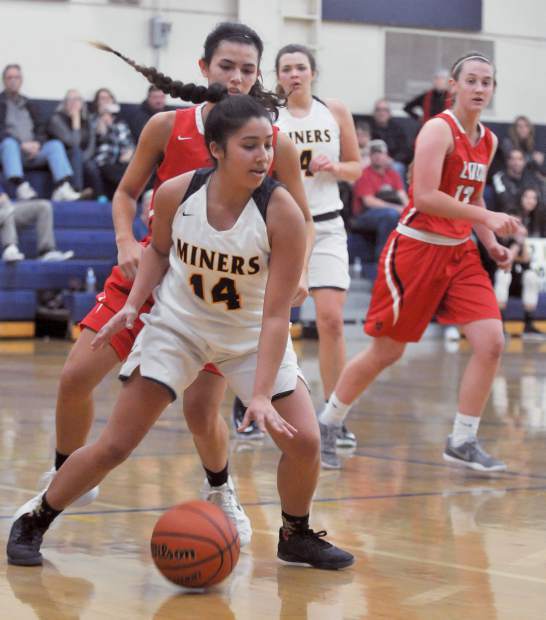 Nevada Union's Meadow Aragon led the Lady Miners with 21 points in Tuesday's win over Lodi. 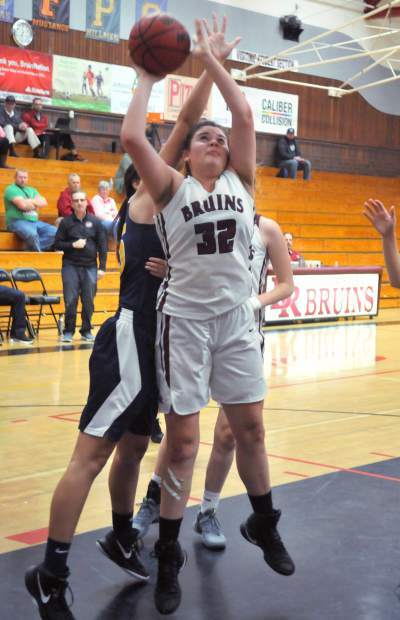 Bear River's Mallory Rath was named to the All-PVL First Team. 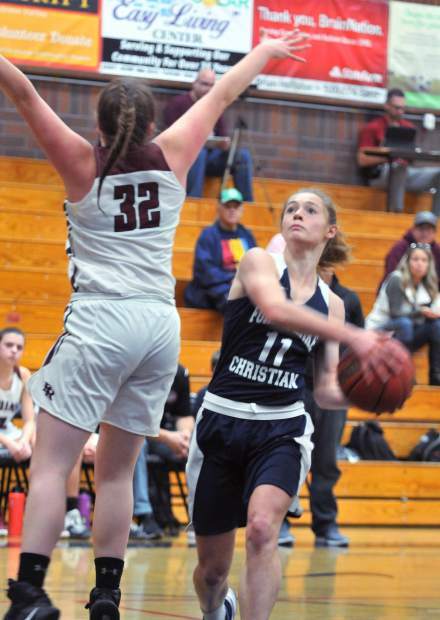 Johnna Dreschler Basketball Forest Lake Christian's Johnna Dreschler impressed in the paint this week, grabbing rebounds in bunches and helping the Lady Falcons earn a league title. 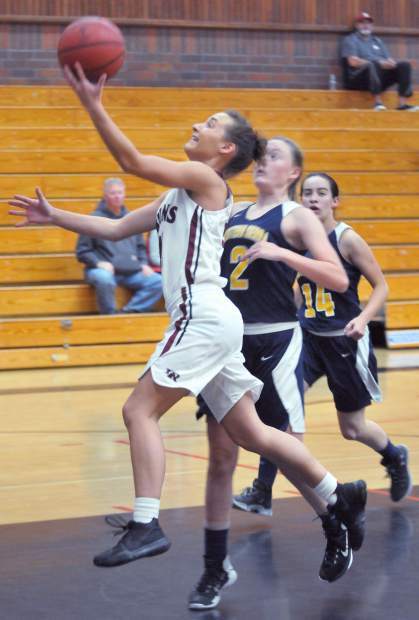 Dreschler scored a team-high 15 points and pulled down 20 rebounds in FLC's Tuesday victory over Foothill, which clinched the Central Valley California League championship for the Lady Falcons. The senior then scored 10 points and tallied 26 rebounds in FLC's victory over Delta in the regular season finale Wednesday. Katelyn Meylor leads Bear River in points (15.5 per game) and steals (5.5 per game) this season. 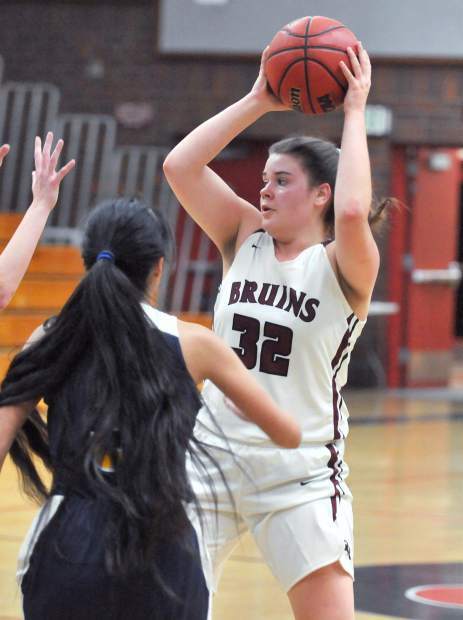 Girls basketball in Nevada County has been strong for decades with local high schools Nevada Union, Bear River and Forest Lake Christian churning out playoff teams year after year. The 2017-18 season is no different as the Lady Miners, Lady Bruins and Lady Falcons all boast several dynamic players that are continuing the talent-rich tradition here in the foothills. Aragon, a skilled and athletic post player, is now in her third season with Nevada Union’s varsity team and is off to a blistering start to her junior campaign. The 5-foot, 11-inch forward is averaging 18.4 points and 13.7 rebounds per game, and is a big reason for the Lady Miners’ 6-3 start to the season. Aragon was an All-Sierra Foothill League First Team selection a year ago after averaging 13.1 points and 13.2 rebounds per game and helping NU reach the postseason. Rath is a dominant paint dweller who has helped the Lady Bruins (7-3)open the season with a pair of tourney championships. The senior stands 5-foot, 10-inches tall, but it’s her strength and persistence that sets her apart. In 10 games this season, Rath has eight double-doubles and is averaging 13.1 points and 15 rebounds per game. 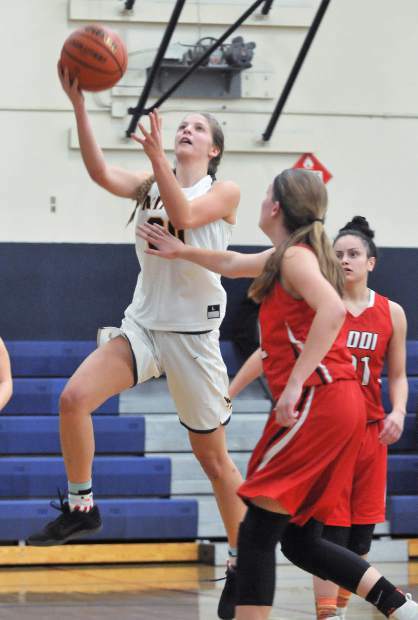 She also has more than 20 rebounds in two different games with a high of 26 coming against Fall River. Rath isn’t just a rebounder though, she’s an all-around defender who averages 3.9 steals and 1.2 blocks per game. She was also named the Ganskie Invitational MVP after leading the Lady Bruins to the title. 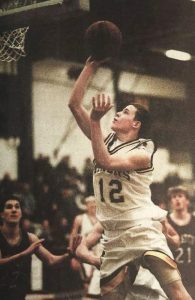 Dreschler is a scrappy post player with a keen ability to rebound and score. The 5-foot, 8-inch senior has pulled down double-digit rebounds in all 10 of the Lady Falcons’ games this season. She is also a talented scorer, posting a season-high 28 points in a win over Western Sierra last week. For the season, Dreschler has eight double-doubles, is averaging 15 points per game to go with 14.4 rebounds, 3.3 steals and 1.2 blocks. 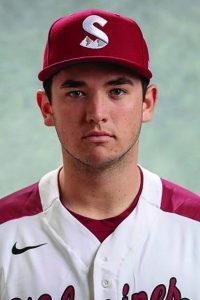 Dreschler is a big reason, FLC is off to a 5-5 start and will be a contender in the Central Valley California League. Kramer is the other part of Nevada Union’s dynamic front court duo. The 5-foot, 11-inch Kramer is an athletic post player that is averaging 14 points and 7.2 rebounds per game so far this season. Already an All-SFL first-teamer from a season ago, Kramer has made large strides in her game this season, said Krill. “Greta has become a lot smoother and a really good finisher,” Krill said. “I laugh because she probably scores more points with her left than her right. Meylor, an All-PVL player from a season ago, is a talented baller on both sides of the court. 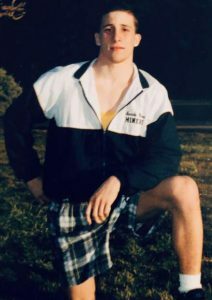 The senior guard has the ability to make shots while driving to the hoop as well as from behind the arc, and is a terror on the defensive end. Meylor has scored in double digits in every game this season and leads the Lady Bruins in scoring with 16.2 points per game. On the defensive side of the ball, Meylor has a knack for intercepting passes and leads the team with 5.6 steals per game. Cortez is in her second year as a varsity starter with the Lady Miners and has taken on a bigger role in her senior season. 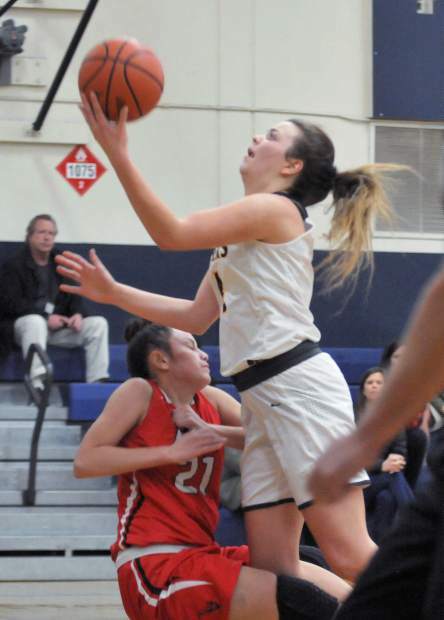 The sharp shooting guard is one of Nevada Union’s best threats from 3-point range and has also shown great improvement in her ability to distribute the ball. “She’s really become a great passer,” Krill said of Cortez. Known for her ability from deep, Cortez is NU’s third leading scorer with 8.6 points per game. 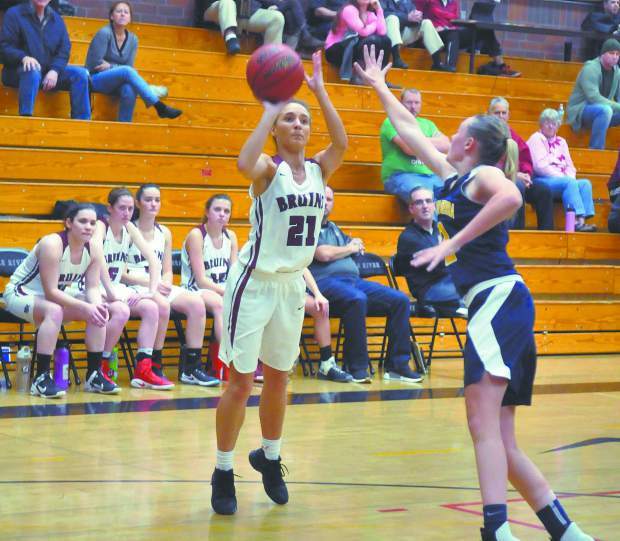 Dresbach-Hill is a solid all-around player that has taken the point guard reigns for Bear River this season. The 5-foot, 6-inch senior fills out the stat sheet, averaging 9 points, 5.9 rebounds, 2.4 assists and 2.2 steals per game. 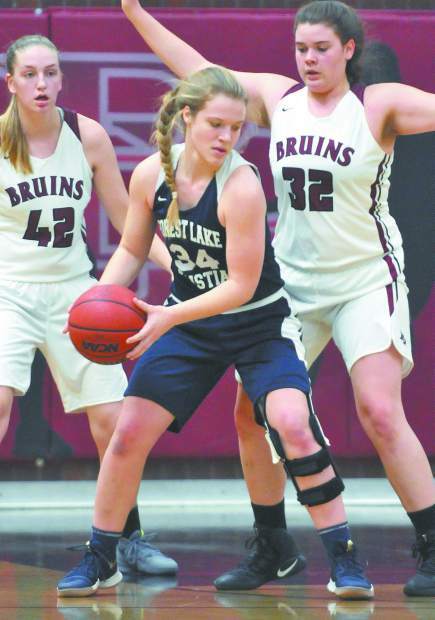 Jackson, a speedy guard that plays tenacious defense, is enjoying a strong start to her first year on FLC’s varsity squad. The sophomore leads the Lady Falcons in assists (3.6 per game) and steals (4.7 per game), and is second on the team in points (12.7 per game) and rebounds (5.4 Per game). Jackson is a source of consistency on the offensive end, scoring in double digits in every game she’s played this season. Other players that will also be difference makers for their teams will be Nevada Union guards Hannah Lewis (4 assists per game) and Alexa Crabb (5.5 points per game); Bear River’s Kayla Toft (5.6 points, 4 rebounds, 2.9 steals per game) and Karinne McDonald (3.1 points, 5.2 rebounds per game); and Forest Lake Christian’s senior point guard Bella Horner (4.9 points, 4.6 rebounds, 3.9 steals per game).